These are just a few of the pages I have done for the senior album. I have so much more to do!!! Sorry about the shadow on some of these….didn’t get out of the way….oops. The bottom left…..was when she found out the band won the state championship…completely unexpected!! Most of the letters are rub ons and the top left I have stickles on the polka dots. Does not show up well…. 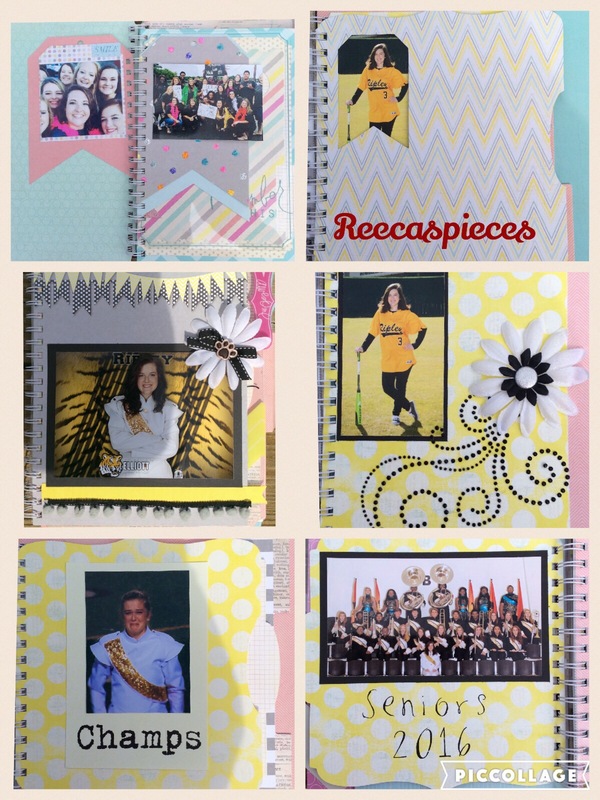 This entry was posted in Albums and tagged albums, scrapbooking, stamping. Bookmark the permalink. 7 Responses to Senior album progress!! Thanks dear!!! Come visit me!! What a treasure you daughter will have through all of your hard and very crafty work. Great job, Reeca. Thanks, and right back at you, my dear. Have a wonderful weekend. Hugs. This will be such a great keepsake. I should have done something for Jeff. Like this!